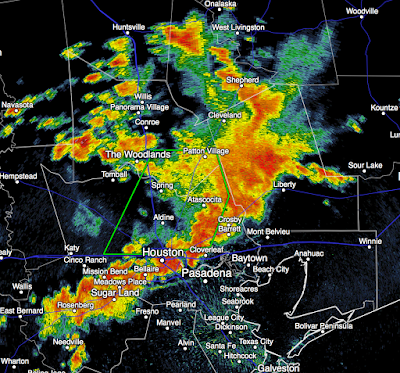 Here is the latest radar for the Houston area where more unwelcome heavy rain is falling. The green polygon is a flash flood warning. 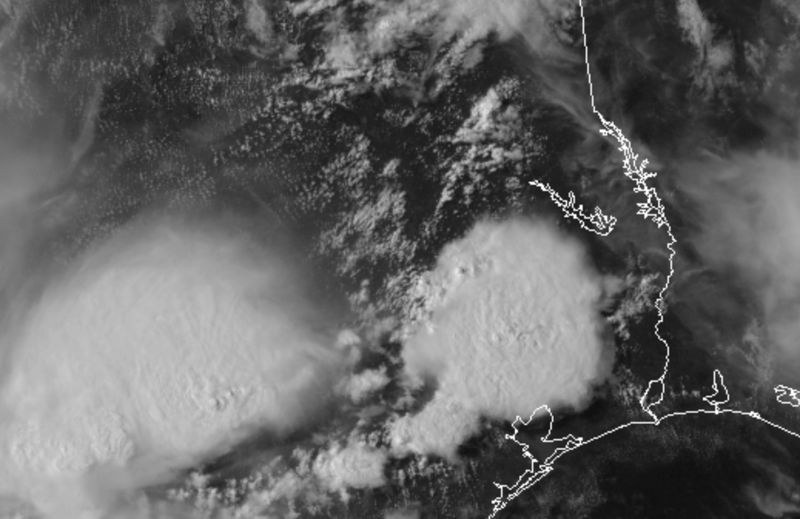 The satellite data shows the the large cluster of storms. Whatever you do, do not try to cross flooded areas by foot or by car!! Wichita News: It Opens This Week! Save Lives: Support Global Warming! How Much Rain the Past Week? Yes, This Includes the Arkansas River in Wichita!